Hello from Brigitte, San Francisco’s unofficial “Soup Queen. And also one of Mara’s roommates. Soup is my favorite thing to make because the possibilities are endless. This was my first go at this recipe and it is the ideal winter weeknight meal! Hope you enjoy it too! Chop the sausage into small rounds. In a large pot, pour 2 tablespoons of olive oil. Brown the sausage, about 8 minutes. When sausage is browned, drain on a paper towel. Dice the onion and mince the garlic and sauté until translucent. Peel and chop the potatoes into 1/4 in pieces, and throw into the pot with the onions and garlic. Mix consistently until the potatoes begin to soften, about 10 minutes. Add 6 cups of chicken stock and bring to a boil. Reduce head to medium-low, cover and simmer for 20 minutes. Using a potato masher, mash a few of the potatoes. Add the sausage and spinach and cook until spinach is wilted, about 5 minutes. Add the remaining tablespoon of olive oil and salt & pepper, and enjoy! 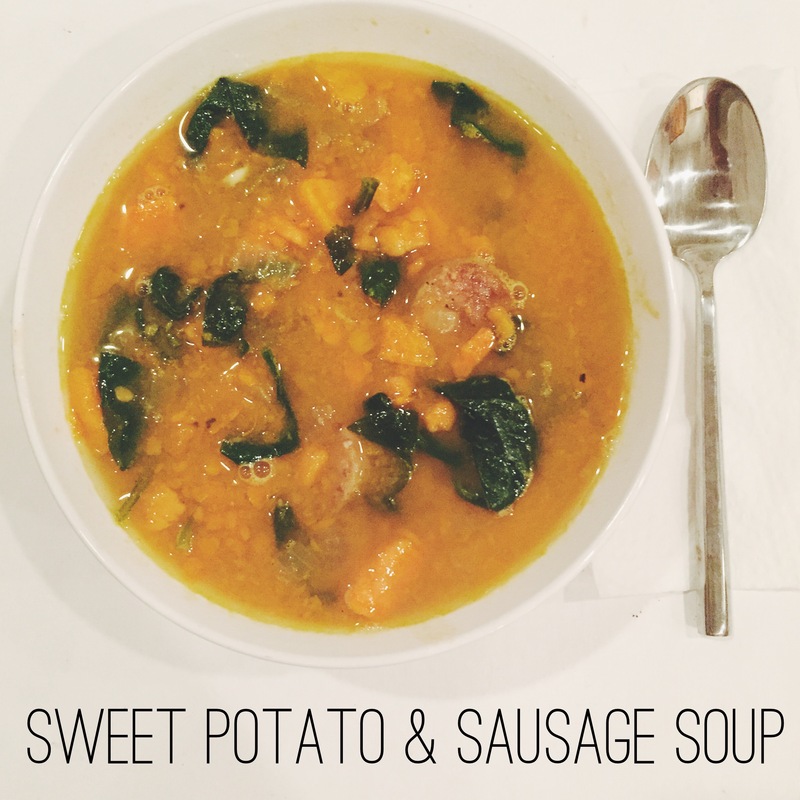 This entry was posted in cooking, dining and tagged smitten kitchen, soup, sweet potato & sausage soup. Bookmark the permalink.